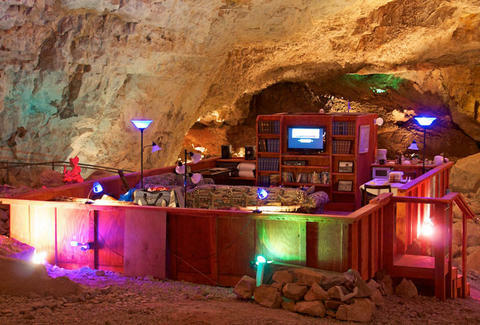 Unless you're an avid spelunker, Madagascar ring-tailed lemur, or Batman, the idea of sleeping in an underground cave may seem slightly disconcerting. But what if said subterranean cavern lair was actually a fully furnished suite, and considered the deepest hotel room in the world? Changes everything, right? 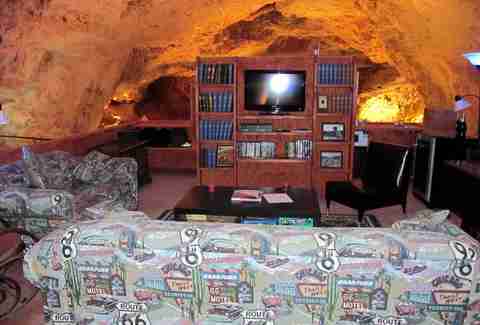 Well, welcome to the Underground Cave Suite at Grand Canyon Caverns. 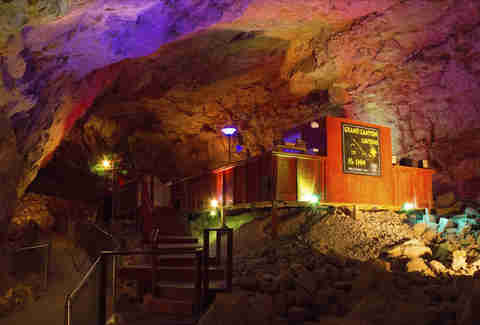 You'll be bedding down inside the largest dry cavern in the United States (the ceiling alone is 70 feet above your head), and thanks to the zero percent humidity and 220 feet of limestone separating it from the surface, you're guaranteed to be the only living thing in there. In addition to the two double beds, there's a queen-sized, sleeper sofa -- meaning you and up to five friends can share the suite for a straight $800 per night. A hipster's dream, the place's tricked out with retro amenities like a record player and a collection of National Geographic mags (that date back to 1917), all of which make it seem a bit like a bomb shelter. But that's no accident... it actually was one. 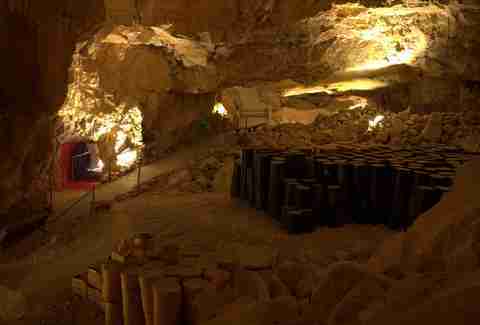 Elsewhere in the caverns, you'll find the Cold War-era food and water stockpiles that hint at this place's survivalist past. Guests staying in the underground suite are free to poke around and explore at night, provided they stay on the paths and don't touch anything important. But, there is a trade-off. 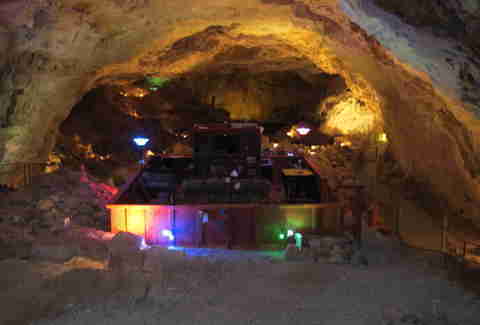 As the suite's technically part of the Grand Canyon Caverns, the guided tours that go on during the day will pass through your bedroom. So best not leave your unmentionables strewn about. Or do, but just check in after the last tour ends at 4 p.m. and slip out before the first one starts at 10 a.m. the next morning. Gianni Jaccoma is an editorial assistant for Thrillist Travel, and H.P. Lovecraft has pretty much ruined subterranean hotel rooms for him. Follow his above-ground exploits on Twitter @gjaccoma.